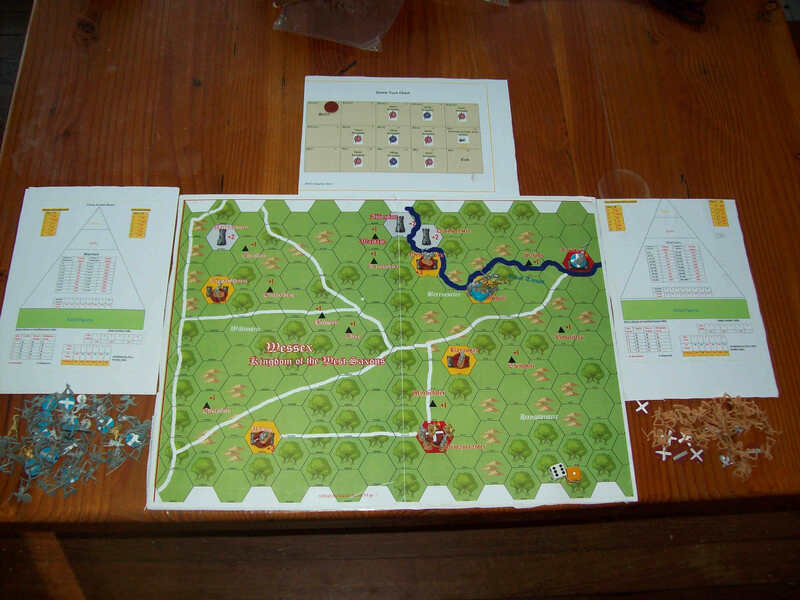 Welcome to the first Game in the Alfred the Great campaign series. Alfred the Great: The Great Heathen Army commences in January 871AD when King Aethelred (Alfred’s brother) and Prince Alfred have to face the might of the Viking Army led by Kings Halfdan and Bagsecg. The Viking Army, having previously defeated the East Anglicans and subdued Saxon Mercia moved into the Royal Estate of Reading and were now poised to attack the kingdom of Wessex which at this time was the Last Kingdom of the Saxons not under Viking subjection. 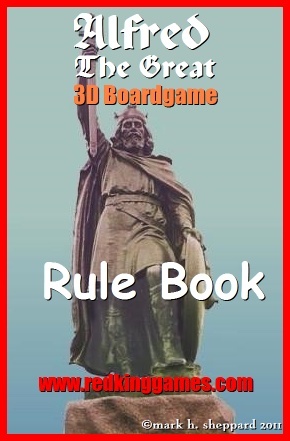 The game is as much strategic as tactical, while there will be pitched battles you will have to make the decision when and where to fight, and how best to maximize your strengths whether you are the Viking or Saxon player. The Viking strength was in their professional and aggressive soldiery skills, their weakness was often in re-supply of fighting men and the fact the West Saxons were fighting for their home. Kings are of great importance in the game, when they are leading the warriors in combat your moral and thereby fighting ability is increased, without them weakened.